Edward Balliol (c. 1283 – 1367) was a pretender to the Scottish throne during the Second War of Scottish Independence. With English help, he briefly ruled parts of the country in three periods between 1332 and 1336. He was the eldest son of John Balliol, erstwhile King of the Scots, and Isabella de Warenne, daughter of John de Warenne, 6th Earl of Surrey, and Alice de Lusignan. Alice was daughter of Hugh X de Lusignan and Isabella of Angoulême, widow of John, King of England. The death of King Robert I weakened Scotland considerably, since his son and successor David II was still a child and the two most able lieutenants, the Black Douglas and Thomas Randolph, 1st Earl of Moray, both died shortly afterwards. Taking advantage of this, Edward Balliol, backed by Edward III of England, defeated the Regent, the Earl of Mar, at the Battle of Dupplin Moor in Perthshire. He was crowned at Scone in September 1332, but three months later he was forced to flee half-naked back to England, following a surprise attack by nobles loyal to David II at the Battle of Annan. On his retreat from Scotland, Balliol sought refuge with the Clifford family, land owners in Westmorland, and stayed in their castles at Appleby, Brougham, Brough, and Pendragon. He was restored by the English in 1333, following the siege of Berwick and the Battle of Halidon Hill. Balliol then ceded the whole of the district formerly known as Lothian to Edward and paid homage to him as liege lord. With no serious support in Scotland, he was deposed again in 1334, and restored again in 1335, and finally deposed in 1336 by those loyal to David II. All realistic hopes of Edward's restoration were lost when David II returned from France in June 1341. He returned to Scotland after the defeat of David II at Battle of Neville's Cross in 1346, raising an insurrection in Galloway, and speedily penetrated to the central parts of the kingdom. However, he gained no permanent footing. On 20 January 1356, Balliol surrendered his claim to the Scottish throne to Edward III in exchange for an English pension. He spent the rest of his life living in obscurity. He died in 1367, at Wheatley, Doncaster, Yorkshire, England. The location of his grave is believed to be under a Doncaster Post Office. ^ Summerson, Trueman & Harrison 1998, p. 18. ^ Darren Burke (14 February 2013). "Could Scots king be buried under the Post Office?". South Yorkshire Times. Retrieved 15 April 2013. Bower, Walter (1987–98). Scotichronicon: In Latin and English. ed. D. E. R. Watt (9 vols. ed.). Aberdeen: Aberdeen University Press. Capgrave, John (1858). The Book of the Illustrious Henries. trans. Francis Charles Hingeston. London: Longman, Brown, Green, Longmans, & Roberts. Gray, Thomas (1907). Scalacronica: The Reigns of Edward I, Edward II and Edward III. trans. Herbert Maxwell. Glasgow: J. Maclehose. Wilson, James (2001) . The Chronicle of Lanercost, 1272–1346. trans. Herbert Maxwell. Cribyn, Wales: Llanerch Press. ISBN 1-86143-109-0. Balfour-Melville, E. M. W. (1954). Edward III and David II. London: G. Philip. Beam, Amanda (2008). The Balliol Dynasty, 1210–1364. Edinburgh: John Donald. Campbell, James (1965). "England, Scotland and the Hundred Years War in the fourteenth century". In in J. R. Hale; J. R. L. Highfield; B. Smalley (eds.). Europe in the Late Middle Ages. London: Faber and Faber. Dalrymple, David (1776–79). Annals of Scotland: From the Accession of Malcolm III Surnamed Canmore to the Accession of Robert I. London: J. Murray. Paterson, R. C. Edward Balliol, in Military History, April, 2003. Ramsay, J. H., Edward Balliol's Scottish Campaign in 1347, in English Historical Review, vol. 25 1910. Ramsay, James H. (1913). Genesis of Lancaster; or, The Three Reigns of Edward II, Edward III and Richard II, 1307–1399. Oxford: Clarendon Press. Reid, R. C., Edward de Balliol, in Transactions of the Dumfriesshire and Galloway Antiquarian and Natural History Society, vol. 35 1956-7. 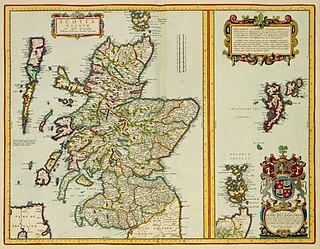 Webster, B., Scotland without a King, 1329–1341, in Medieval Scotland, Crown, Lordship and Community, ed A. Grant and K. J. Stringer, 1993. Webster, Bruce. "Balliol, Edward". Oxford Dictionary of National Biography. Oxford University Press. Retrieved 15 April 2013. Chambers, Robert; Thomson, Thomas Napier (1857). "Baliol, Edward" . A Biographical Dictionary of Eminent Scotsmen. 1. Glasgow: Blackie and Son. pp. 121–23 – via Wikisource. "Baliol, Edward de" . Dictionary of National Biography. London: Smith, Elder & Co. 1885–1900. John de Warenne, 6th Earl of Surrey was a prominent English nobleman and military commander during the reigns of Henry III of England and Edward I of England. During the Second Barons' War he switched sides twice, ending up in support of the king, for whose capture he was present at Lewes in 1264. Warenne was later appointed a Guardian of Scotland and featured prominently in Edward I's wars in Scotland. John de Balliol was a leading figure of Scottish and Anglo-Norman life. Balliol College, in Oxford, is named after him. William Douglas, 1st Earl of Douglas was a Scottish nobleman, peer, and magnate. The Battle of Culblean was fought on 30 November 1335, during the Second War of Scottish Independence. It was a victory for the Scots led by the Guardian, Sir Andrew Murray over an Anglo-Scots force commanded by David III Strathbogie, titular Earl of Atholl, and a leading supporter of Edward Balliol. Brougham Castle is a medieval building about 2 miles (3.2 km) south-east of Penrith, Cumbria, England. The castle was founded by Robert I de Vieuxpont in the early 13th century. The site, near the confluence of the rivers, Eamont and Lowther, had been chosen by the Romans for a Roman fort called Brocavum. The castle is scheduled as an Ancient Monument, along with the fort, as "Brougham Roman fort and Brougham Castle". Henry de Percy, 1st Baron Percy of Alnwick was a medieval English magnate. Vipont is the name of a prominent family in the history of Westmorland. According to Thomas the name originated in France before 1066 as Vieuxpont, Latinized to de Vetere Ponte, with alternative spellings Vezpont, Veepon, Vexpont, Vypont, Vispont, Vypunt, Vespont, Vipond, Vypond, Voypond, Veepond, Vippond, Vipon, Vipan, Vipen, etc. The Vipont family bore arms: Gules, six annulets or 3:2:1, later quartered by Baron Clifford.